The Rahu transit in Cancer, which happens to be the 4th House from your Sign may make you feel insecure and create fears of losing your prestige and honour. There may be a lot of challenges in your path and a flurry of issues that may keep causing frustration. Matters pertaining to land, property and vehicles may face some problems. While the Rahu transit in Cancer operates your focus may shift to your private matters and personal life. You will have to realise your responsibilities towards your family and will have to put in more efforts to make the home atmosphere pleasant. You will not feel like giving a lot of importance to the opinions of others. During the stay of Rahu in Cancer, you will experience a strong urge to control and this may cause friction with others, as no one likes being controlled. Do not try to manage the lives of others and instead focus on strengthening your overall position. Do you want to know how this transit may impact your finance? 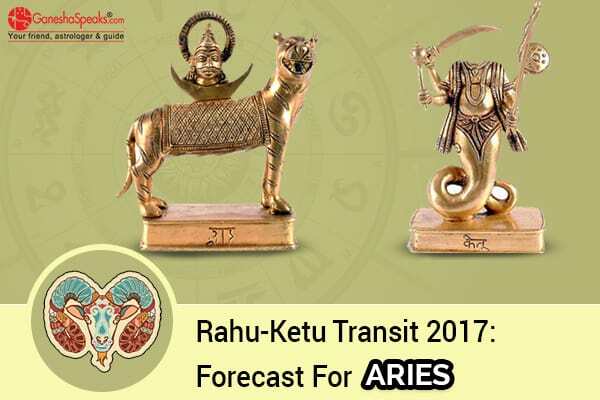 Avail the exclusive Rahu-Ketu Report For Finance now! The Ketu transit in Capricorn indicates a turbulent period in your career related matters. The road to success will be full of a lot of twists and turns. If you are in a position of authority in your job, then your authority may be challenged. Or, there are chances of facing problems with your seniors. Be careful of the politics being played behind your back at the workplace. Despite having the sincere intent, you may be unable to perform as per you real talent and potential. This may be because, you may be running low on motivation and you may not be happy with some matters in your office. But, you can expect a sudden change in your fortune, as you might unexpectedly receive appreciation from your seniors and might get good recognition at your workplace. You may also suddenly wish to change your job. Some of your important projects may face some delays and you will have to try harder to finish tasks within deadlines. Try to avoid getting into arguments with people of authority, seniors and government officers. For problems related to Business: Avail the Rahu-Ketu Report For Business to know about your business problems.